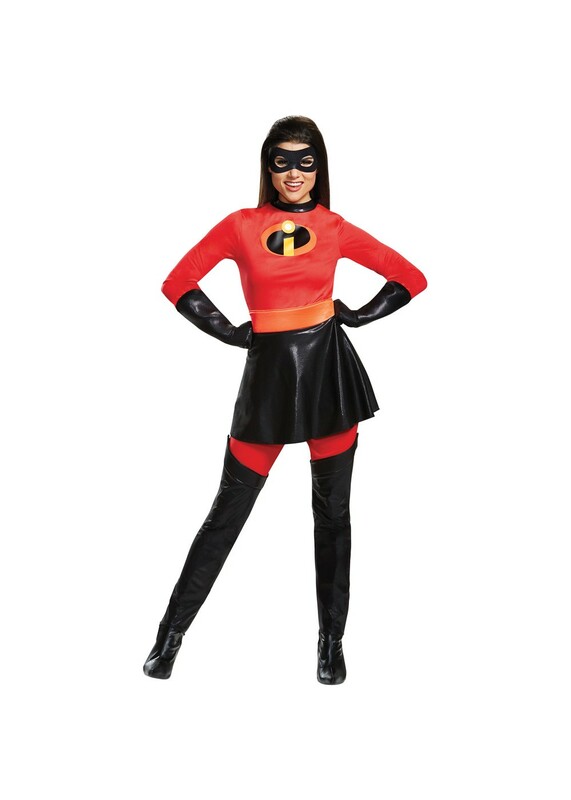 Mrs Incredible Costume Includes red and black stretchy jumpsuit with signature 'I' emblem and a skirt. 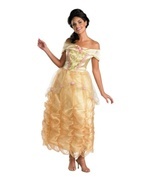 Available in women size Small (4-6), Medium (8-10), Large (12-14), Plus Size (18-20). 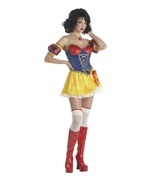 Now anyone can be an Incredible mother with this costume! The Mrs. 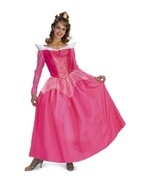 Incredible jumpsuit and skirt is designed with the signature i emblem to show everyone what a superhero you are. Helen is known for her stretching abilities. This costume also includes fabric eye mask and black gloves. You will only needs black boots to go anywhere as part of the Incredibles team! Officially licensed product of Disney. 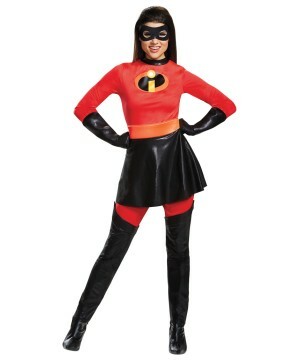 Review(s) for " Mrs Incredible Women Costume"